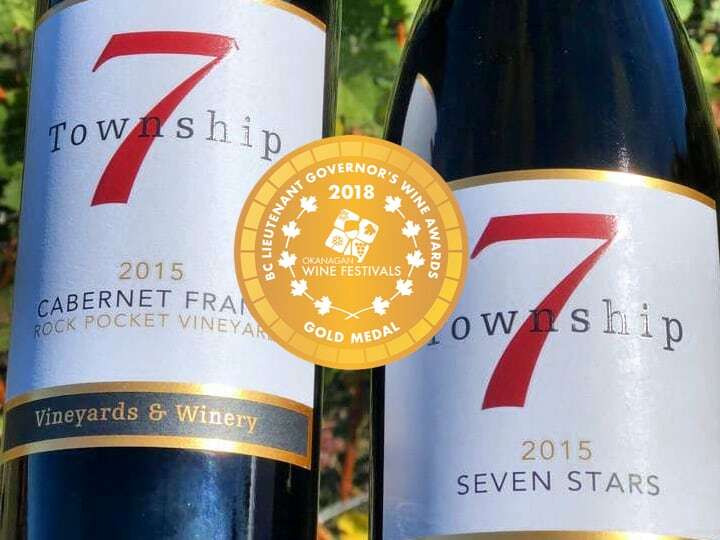 We are honoured to be awarded two Gold medals this fall at the 2018 BC Lieutenant Governor's Wine Awards for our 2015 Seven Stars Sparkling wine and sold out 2015 Cabernet Franc. This year's prestigious competition saw over 700 wines entered, with judging by an elite panel of wine experts from across North America, and winners announced at the start of the Fall Okanagan Wine Festival. Both wines are fantastic for your Thanksgiving entertaining. Try serving our three-peat Gold winner the 2015 Seven Stars sparkling as an apéritif and the 2015 Cabernet Franc is delightful with a Roast Duck and Plum Applesauce, check out this delectable recipe from Epicurious.